A friend introduced me to a very catchy love song a couple of days ago. I listened to it the first time and liked it, so I listened to it again. As I thought about the lyrics- I thought, they're not too bad. I liked the story the song was telling and it seemed moral enough. I've had the song on repeat for about two days now. Well, the last couple of days I noticed my thoughts have been wandering away from me. Thinking about things I normally don't think about, possibly having to do with being swept off my feet by some attractive man of God. What we think about, what we listen to, and what we look at all have an impact on our lives! We need to be careful what we're allowing our ears to hear! The more you listen to something, the more you'll believe it. Today, be aware of what you're allowing yourself to think about. 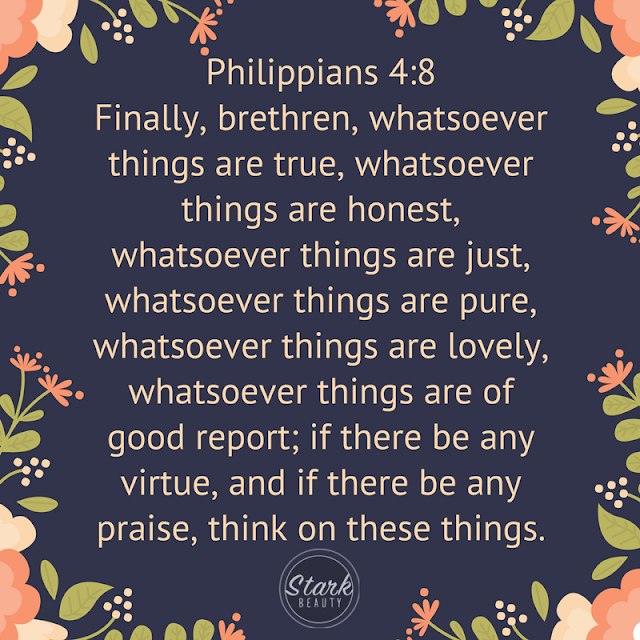 If your thoughts haven't been pleasing to God check to see what you have allowed yourself to watch, listen to, and even be influenced by.